Affordable Shared Host Review 2019: Is Affordable Shared Host a Good Hosting? Affordable Shared Hosting offers “Economy Linux Hosting” that is not particularly affordable or economical for the features and resources on offer. This vendor can also design your website, but its own website doesn’t provide much inspiration. Affordable Shared Hosting Services, DPoisn, LLC. has been in business for more than 25 years. It has offices in Hamilton Township in Mercer County, New Jersey, United States. This provider’s uninspiring website is in English. 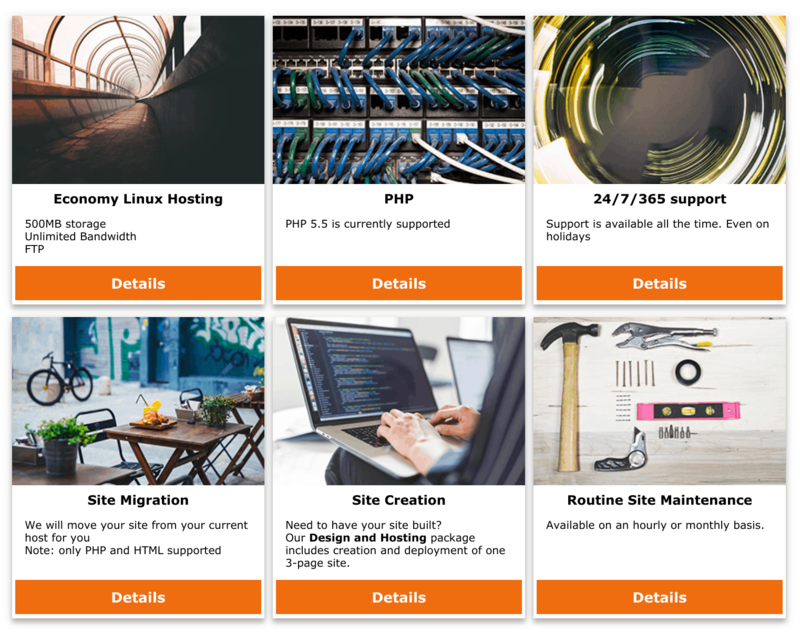 Affordable Shared Hosting provides Economy Linux Hosting packages to mainly small businesses, but it also offers other packages such as a web design package that includes a hosting element. Plans are offered to host your website long-term (at least one year) or short-term (one month at a time), or to design and host your website followed by routine maintenance. This is pretty basic hosting, with only PHP support, and no sign of any control panels, or one-click installers. While the traffic is unlimited, the storage is only 500 MB. Regardless of which type of hosting or other service you choose to see in more detail, you land on the same page that presents you with four options: Basic Hosting (one-year commitment), Short Term Hosting (one-month commitment), Design and Hosting (to professionally create your website and then host it), and Maintenance Plan (to follow the design-and-hosting package). All the plans are expensive for what you get. Or rather, what you don’t get. And, judging from the vendor’s own website, I wouldn’t be too tempted to sign up for its website design service. It seems easy enough to sign up for hosting by creating an account, entering any offer code into the payment page, and then actually paying by PayPal or credit/debit card. Affordable Shared Hosting’s hosting is actually not that affordable compared with the much more modern competition in the market. Judging from its own basic but functional website, it looks like this vendor’s best days are behind it. For website design and hosting services, visit Affordable Shared Hosting. Wondering how Affordable Shared Host stacks up against other Web Hosting companies? Enter any other Web Hosting company and we will give you a side-by-side comparison.